Jerry Springer? Maury? Jenny Jones, Ricki Lake in a former Eastern European country? This is what I got myself into for the first feature film at the 3rd European Film Festival in Beijing. It was entertaining that the American style trash TV became the central theme of this movie. 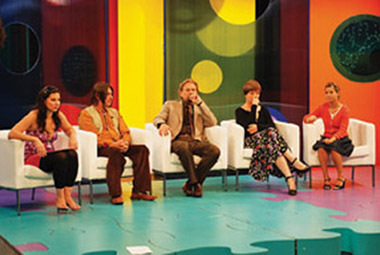 More dramatically, the reaction of the Scandinavian TV executives who visited the taping of show in respond to the roller-coaster like surprises during the show. No, this is not a low of humanity, but then certain banalities of life transcend languages and cultures.